Pharrell Williams hit Atlanta last week to host a launch party for his new Qream liqueur. The invitation only event was held at a Buckhead mansion and guests were all treated to food, fun and of course Pharrell’s new creamy alcoholic. 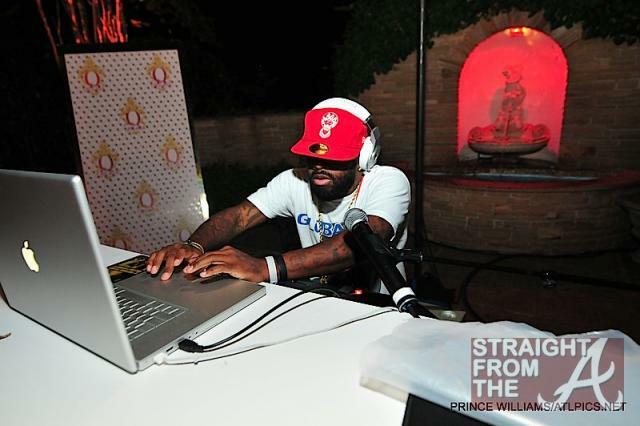 Jermaine Dupri and Traci Steel played DJ for the evening while Atlanta’s “who’s who” mingled about the pool area. Spotted mingling about were Real “Housewife” Kandi Burruss, DeVyne Stephens, Rozonda “Chilli” Thomas, Designer Mychael Knight, Tameka Foster Glover Raymond, Former Falcons Jamal Anderson & Bob Whitfield and more.